Best 5 Waterfowl Hunting Videos That You Need to Watch! A loving husband and dad, a proud hunter and outdoor adventure seeker! Waterfowl season is upon us. If you feel that you need some tips and guidance on how to step up your game this upcoming season, those are the 5 videos that will help you better your performance and become the master of this game! If you are a waterfowl hunting beginner, then these are especially useful for you, as you’ll find precious recommendations and expert opinions on duck hunting gear, best duck hunting shotguns and ammunition, waterfowl hunting accessories and clothing and just anything and everything you need to know for one rich and absolutely terrific hunting season! First on the list and personally my favorite is Robert Arrington from Deer Meet For Dinner Channel on Youtube. If you are new to this bird chasing game, in this video you will find most important tips on best and affordable gear, decoys and just really amazing tips, explained fun and easy, and really well structured from the beginning to the end! Check it out! So, I decided to feature a video about the Stoeger M3500 from the Pilot Patriot Channel, because as this is also my first duck hunting season, after a thorough research I decided that this is a great waterfowl shotgun to mark my start with! Affordable, yet exceptionally effective! It is built primarily for duck hunting and waterfowl hunting enthusiasts like you, so check this amazing video and appreciate this beast! Now when you have the overall idea, the superstar duck hunting shotgun, now comes the turn for on Duck Calling Tips from the National Duck Calling Champ Jim King! I enjoyed this one very much, as you can observe and grasp duck calling in action, out on the field, and then the calls are broken down into different situations. You gain perception on how to listen to ducks, how to read their actions, their sounds and their body language. Watch the full video here and enjoy! Last but not least, this is a video again from the boys from Fowled Reality Duck and Goose Hunting. 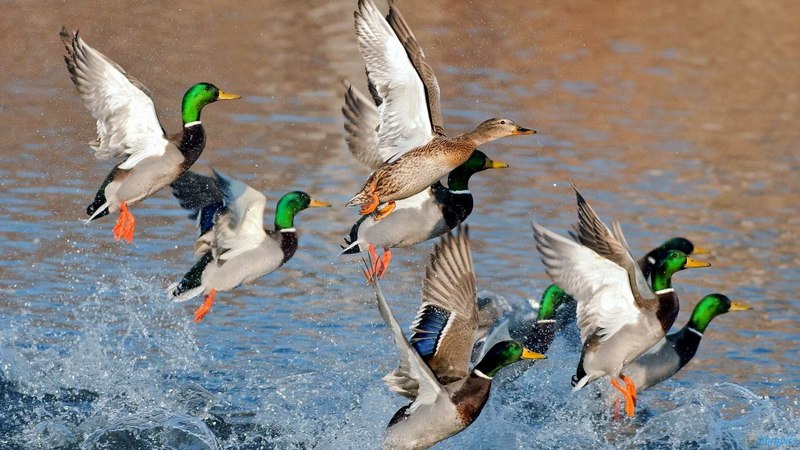 It’s about duck hunting in different water sources and the strategies you need to design on decoy spreading, duck calling and tips on how to lure your catch accordingly! I hope you like my selection and now you have a better idea on how to make the most of the upcoming waterfowl hunting season! I know I will! And don’t forget to check out our beautiful, wildlife 3D Waterfowl T-shirts, made with the brilliant Photocamouflage technology, featuring 100% true-to-life photography with exceptional quality and resolution! Are you looking for a hunting gift? Regardless of a birthday or Christmas event, Hillman T-shirt is the gift that gets you into that hunter's heart forever. Tips for successful Elk hunting!